Our club meets every other Tuesday evening at Restaurant de Branding (Croeselaan 303, Utrecht), a short walk from Centraal Station. Thanks to the great kitchen team there we enjoy a delicious 2- course meal together, followed by an interesting and varied programme, which may include an inspirational guest speaker, a talk from one of our club members in the series “Sharing a Cross Cultural Experience,” or a club affairs meeting. On this page you can find information about our upcoming meetings. Do you want to know more about our past meetings? 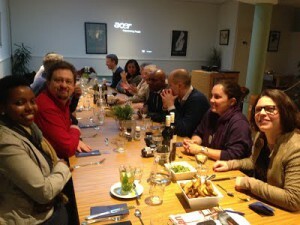 Click here to see what we did at previous meetings.